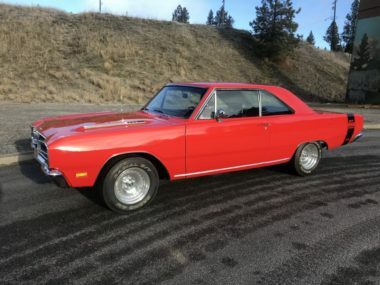 1969 Dodge Dart GTS, 383 Magnum engine, 4 speed, bucket seats, console, tach, beautiful Charger red with black interior, build sheet, fresh restoration ready for summer! 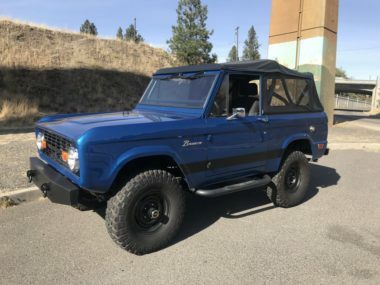 1968 Ford Bronco, rebuilt 302, aluminum radiator, Edelbrock intake and carb, Pertronix ignition, gear reduction starter, 3 speed transmission, James Duff floor shift, Dana 20 transfer case, Dana 30 front axle, 4:11 rear, new Warn hubs, dual exhaust, power steering, front disc brakes, 33 x 15.5 Goodrich tires, full roll cage, 3 1/2 suspension lift, has new soft top, also has hard top and bikini top, custom front bumper, custom rear fenders, beautiful blue paint, really nice Bronco! 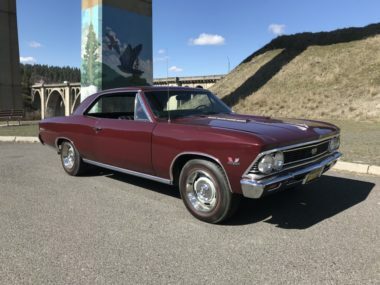 1966 Chevrolet Chevelle SS, 138 vin number, 396 engine, 4 speed Muncie,10 bolt posi rear end, 3.73 gears, Madeira Maroon with black interior, restored a few years ago, Rally wheels with red lines, really nice driver!